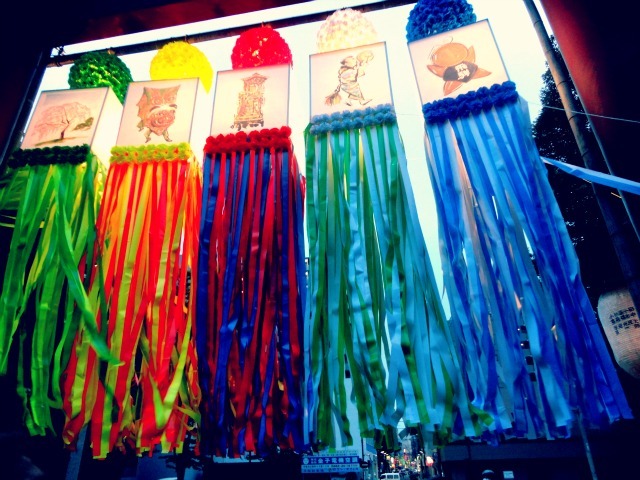 From the sixth to the eight of July the Tanabata Matsuri, also known as Star Festival, was held in Hiratsuka, which is half an hour bus ride away from where I live. 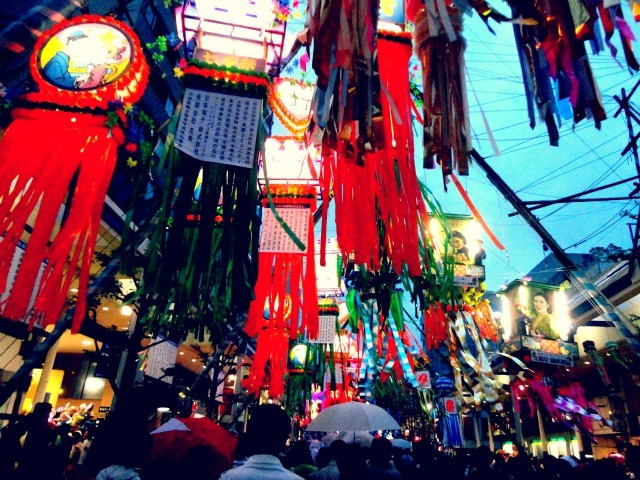 The Tanabata Matsuri is held originally on the 7.7. but got extended over the years since this day isn't always on the weekend. 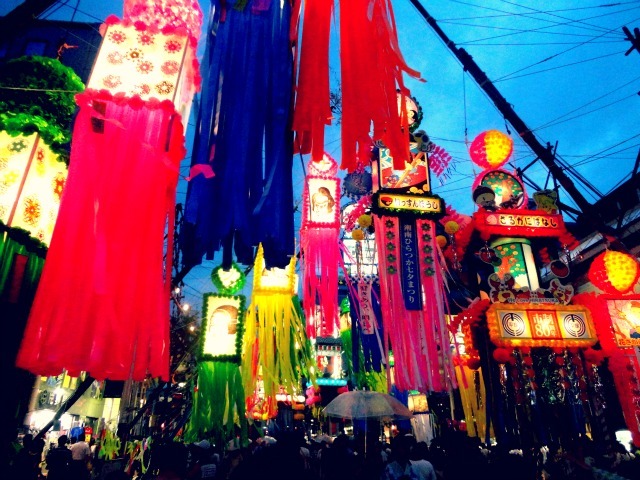 I love the background history behind this festival! 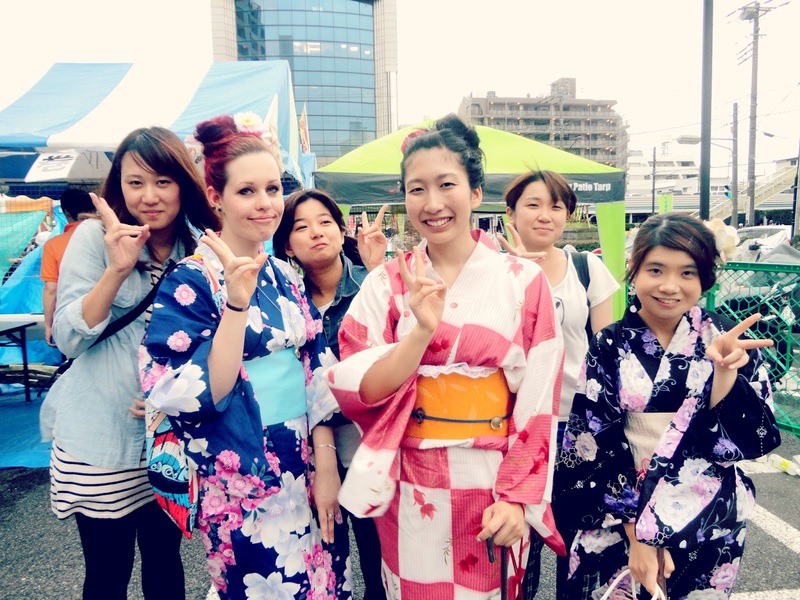 I also feel a strong connection to this festival in particular since it is shortly after my own birthday. 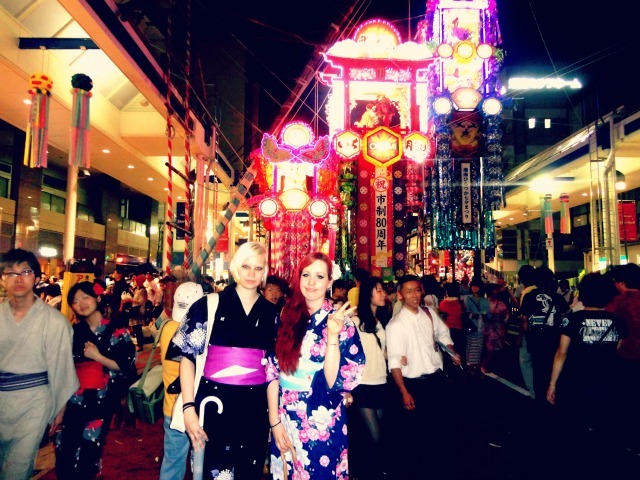 The Tanabata celebrates the meeting of the deities Orihime and Hikoboshi (represented by the stars Vega and Altair respectively). According to legend, the Milky Way separates these lovers, and they are allowed to meet only once a year on the seventh day of the seventh lunar month of the lunisolar calendar. 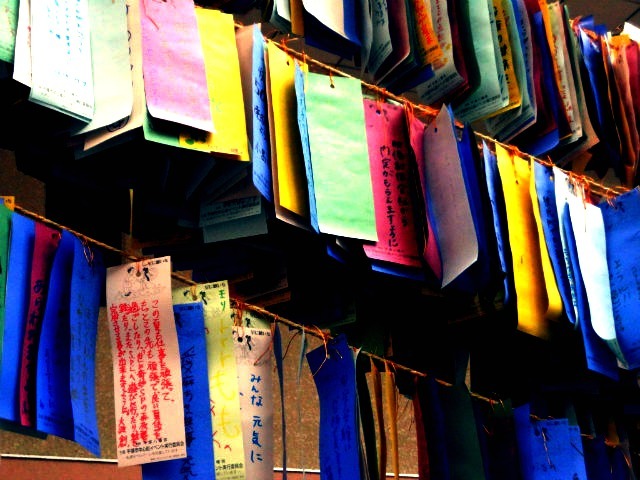 The date of Tanabata varies by region of the country, but the first festivities begin on July 7 of the Gregorian calendar. 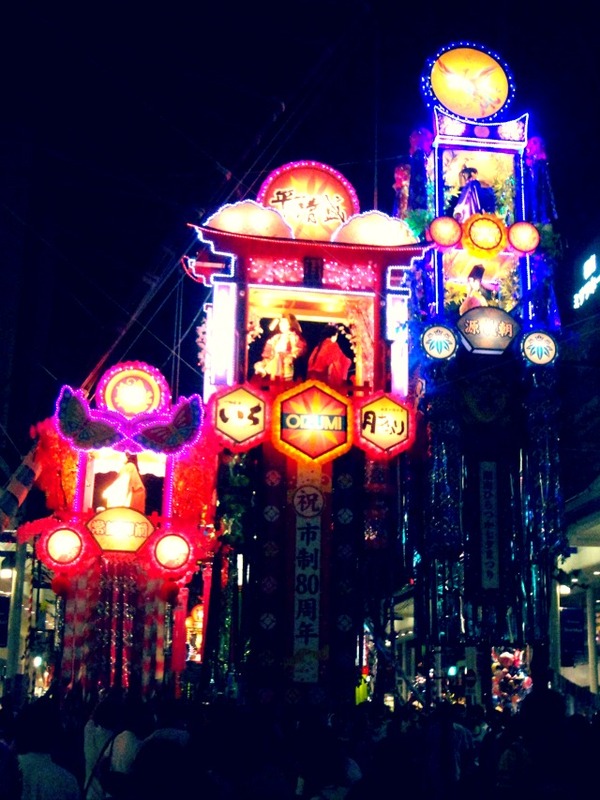 The celebration is held at various days between July and August. It's just sooo romantic! 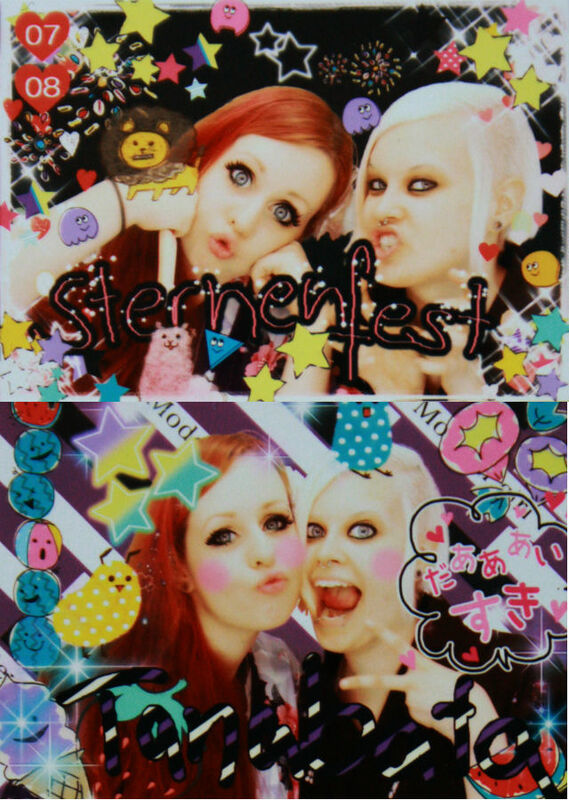 :D And it reminds me a bit of my boyfriend and me this year, it feels kinda the same -laughs- xD Although I hope it won't be repeated annually that we see each other only once a year. 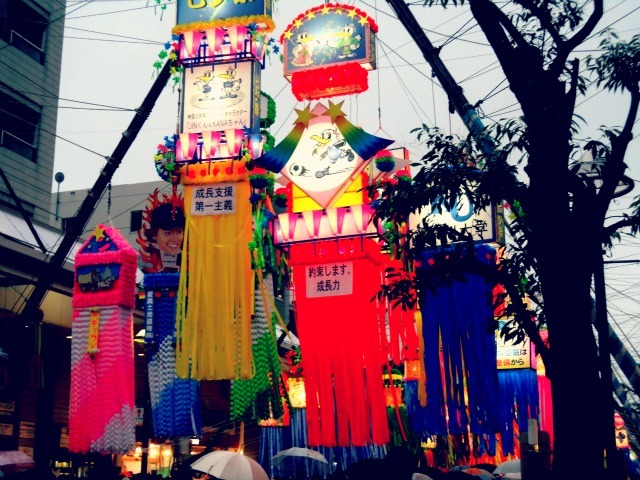 We are very lucky to live close to Hiratsuka because there the second biggest Tanabata is held every year! I went there twice; first on the "original" date on Saturday with some friends from my Yosakoi dancing group and on Sunday together with my precious roommate. 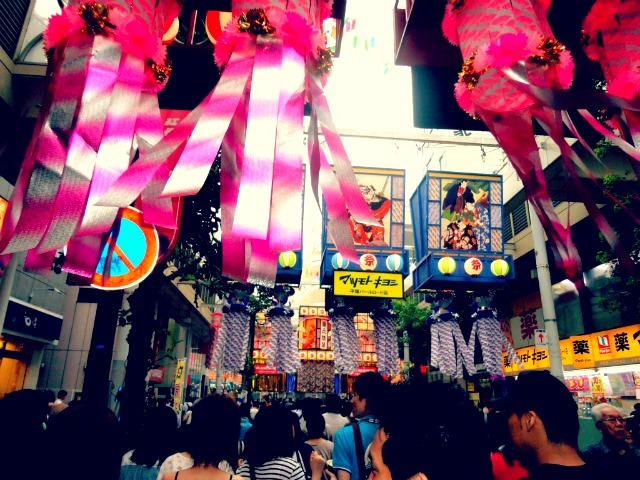 The festival was really big with a lot of stands where you could purchase eating stuff. I personally thought food was a bit overrated since 80% (or more) of all stands sold food (or beer.) But the atmosphere was wonderful once it turned dark and all the lights were lit. 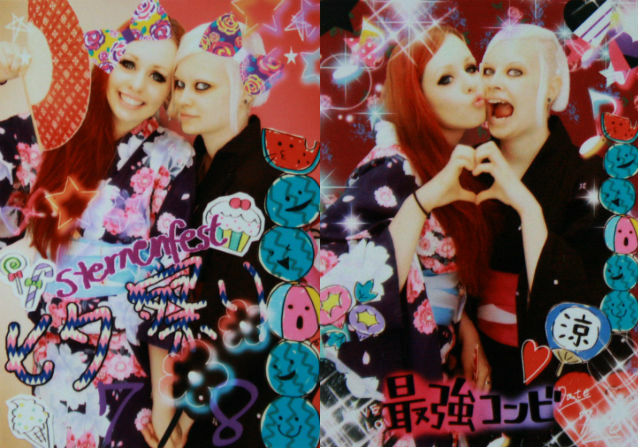 Pachi and I wore our Yukata; some old ladies we met a week before came to our dorm to make us pretty for the festival! 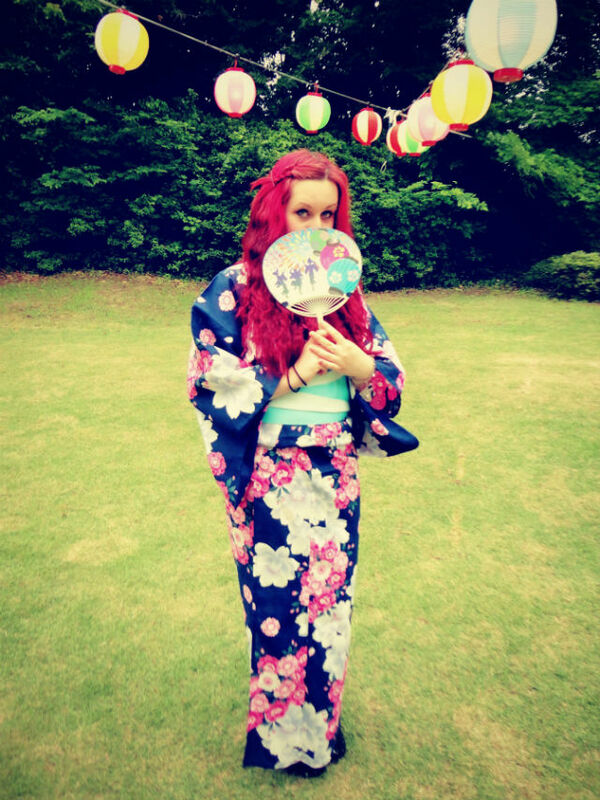 :D I can wear the Yukata on my own but it def. doesn't look as prerry as when old Japanese ladies do it for you. 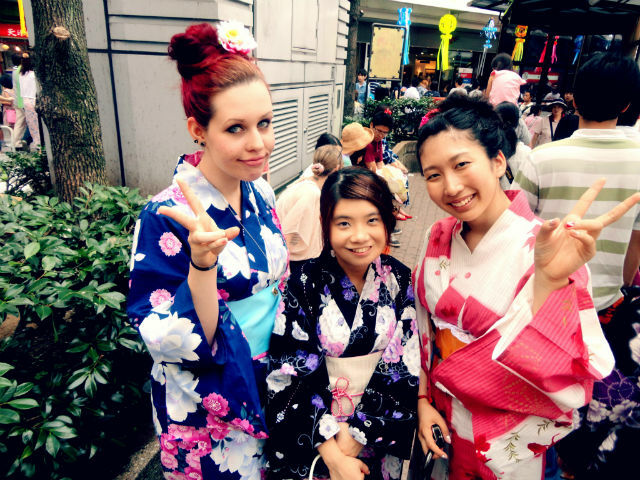 I felt like an ancient Japanese princess! 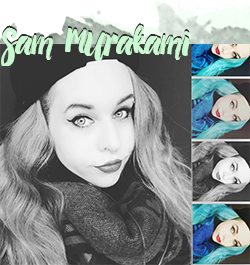 :D But enough words, enjoy the pictures! 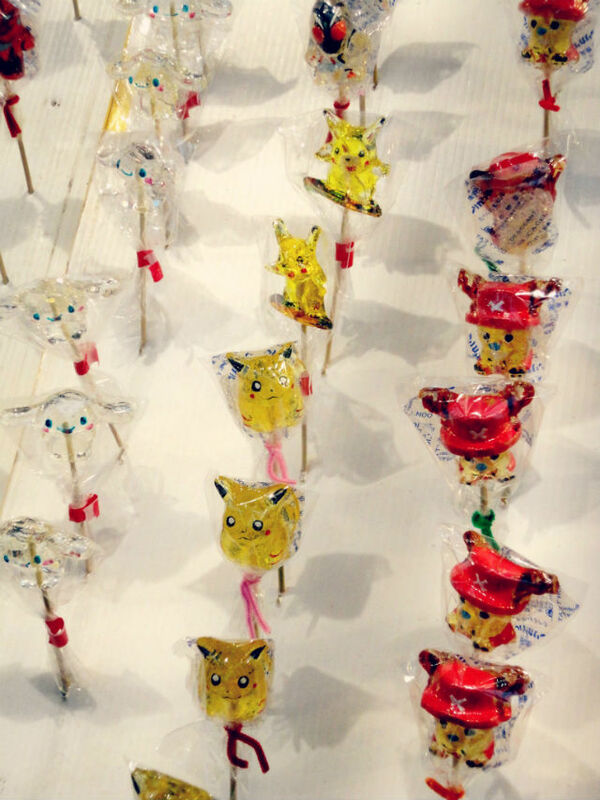 *all pictures taken with Pachis cam since mine was just too heavy to carry around all day. 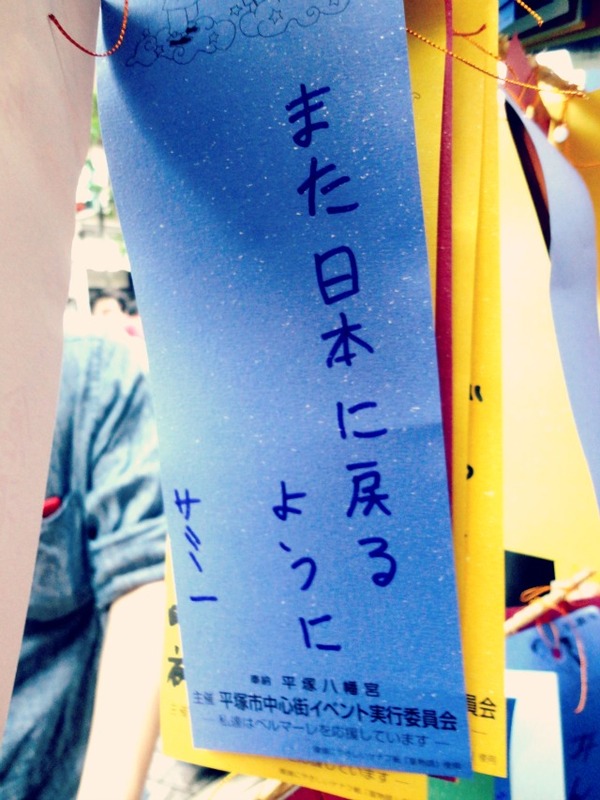 This was the wish I wrote "So that I might be able to come back to Japan someday"